No attorney-client relationship. 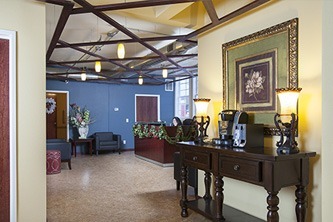 Crowson Law Group maintains this website exclusively for informational purposes. It is not legal or other professional advice and does not necessarily represent the opinion of Crowson Law Group or its clients. Viewing this site, using information from it, or communicating with Crowson Law Group through this site by Internet email does not create an attorney-client relationship between you and Crowson Law Group. Nonreliance. Online readers should not act or decline to act, based on content from this site, without first consulting an attorney or other appropriate professional. Because the law changes constantly, this website's content may not indicate the current state of the law. Nothing on this site predicts or guarantees future results. 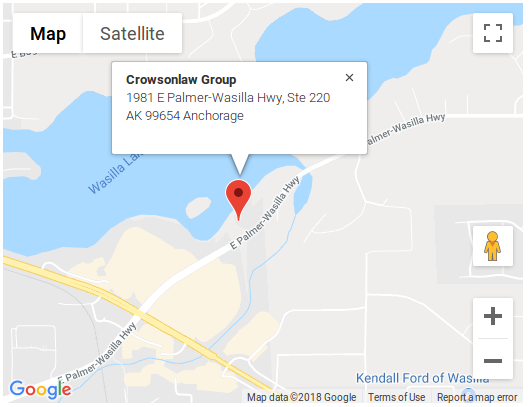 Crowson Law Group are not liable for the use or interpretation of information contained on this site, and expressly disclaim all liability for any actions you take or do not take, based on this site's content. Links. Crowson Law Group does not necessarily endorse and is not responsible for content accessed through this website's links to other Internet resources. Correctness and adequacy of information on those sites is not guaranteed, and unless otherwise stated, Crowson Law Group is not associated with such linked sites. Contacting us. You may e-mail us through this site, but information you send to Crowson Law Group through Internet e-mail or this website is not secure and may not be confidential. Communications to us will not be treated as privileged unless we already represent you. Do not send us confidential information until you have established a formal attorney-client relationship with Crowson Law Group. Even if we represent you, understand that Internet e-mail security is still uncertain and that you accept all risks of such uncertainty and potential lack of confidentiality when you send us unencrypted, sensitive, or confidential e-mail. E-mail from Crowson Law Group never constitutes an electronic signature, unless it expressly says so. Jurisdiction. Legal problems and solutions depend on their unique facts. Laws and regulations often differ from one jurisdiction to another. Materials on this website may be inappropriate in jurisdictions other than Alaska. 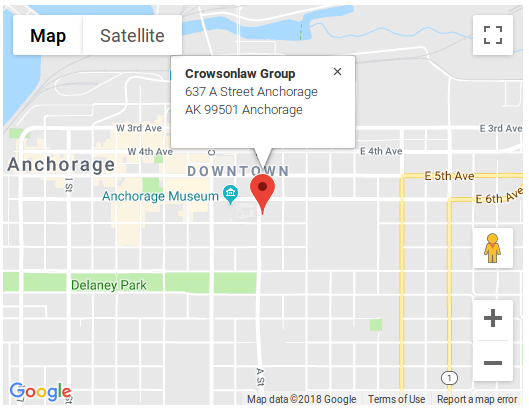 Crowson Law Group's attorneys practice primarily in the State of Alaska. Users who access this website from other locations do so at their own risk and are responsible for complying with local laws and regulations. This website (not including linked sites) is controlled by Crowson Law Group. The laws of Alaska apply to everything concerning use of this website, without regard to Alaska's conflict of laws principles. You agree to submit to the exclusive personal jurisdiction and venue of the appropriate Alaska court to resolve any dispute concerning your use of this website.